"The ancient monastery of Muri-Gries, located just south of the Bremmer Pass in Süd Tyrol is the source for a bevy of clean, complex and classy wines made from the traditional grapes of this beautiful region. Muri-Gries remains a working Benedictine monastery, which was originally built in the late eleventh century as a fortress. In the fourteenth century, the fortress was donated to a local group of monks and converted into a monastery. 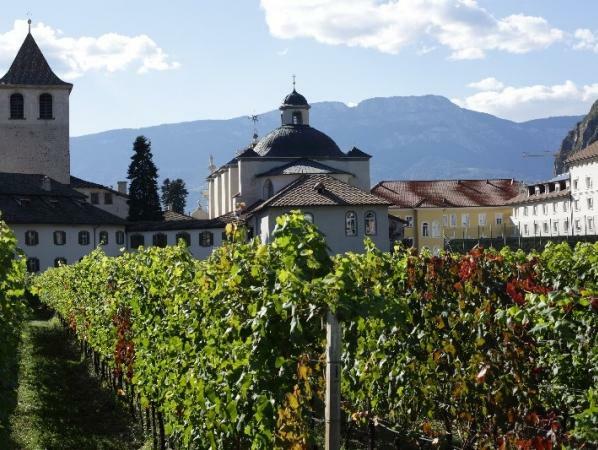 Brothers of the Benedictine order arrived here from neighboring Switzerland in 1845 to take up residence in the recently abandoned site, and immediately brought their more sophisticated viticultural approach to the monastery's wines. Muri-Gries began to produce DOC wines in 1947, and since then the monastery has won local fame for the high quality of its wines, and is now becoming well-known to Italian wine-loving insiders throughout Europe and the US."